Cultural Detective is very committed to building respect, collaboration, equity and justice in our world by developing intercultural competence. To that end, we publish extremely effective and affordable materials, we conduct an extensive series of free webinars, and we frequently share activities, designs and resources on this blog. In order to make it easier for members of our community to access these complimentary resources, we’ve done our best to gather most of them into one place: the “Freebies” section of our website. Gathering all of them is rather untenable, as we’ve been giving stuff away since 2004, but if you find something on our sites that you feel deserves a listing in the Freebies section, please let us know. I plan to do a series of blog posts about this new page, and I’ll start at the bottom, Tools for Training and Education. There you will find some truly incredible things. The Four Phase Model for Task Accomplishment in multicultural teams, taken from the classic Ecotonos: A Simulation for Collaborating Across Cultures. It provides a proven model for using differences as assets that combines well with and supplements your use of Cultural Detective. There are an additional three articles on ways to use Ecotonos in various settings, including in a business class, for conflict resolution, and in a science laboratory. A terrific article by one of the intercultural field’s most respected researcher/practitioners, Jackie Wasilewski, titled “Collide-o-culture or Kaleid-o-culture? GPS for Human Beings.” If you haven’t read it, you should. An article written by Barbara F. Schaetti, Heather Robinson, and myself on our go-to approach for developing sustainable intercultural ability, EPIC: Essential Practice for Intercultural Competence. Powerpoint slides and information on Interculturalidad in Latin America, and how it compares to similar concepts in North America, Europe and Asia, written by Adriana Medina-López-Portillo. Link to download a terrific learning game on the refugee and migrant experience, developed by Caritas France and called “On the Road with Migrants.” The game is available in French, English, German, Greek, Italian, and very soon in Portuguese and Spanish. I am proud of the generosity of our team of authors and our community of certified facilitators and users, to help us make these tools available to all of you. Please use them frequently and well. Together we can promote respect, understanding, collaboration and justice! 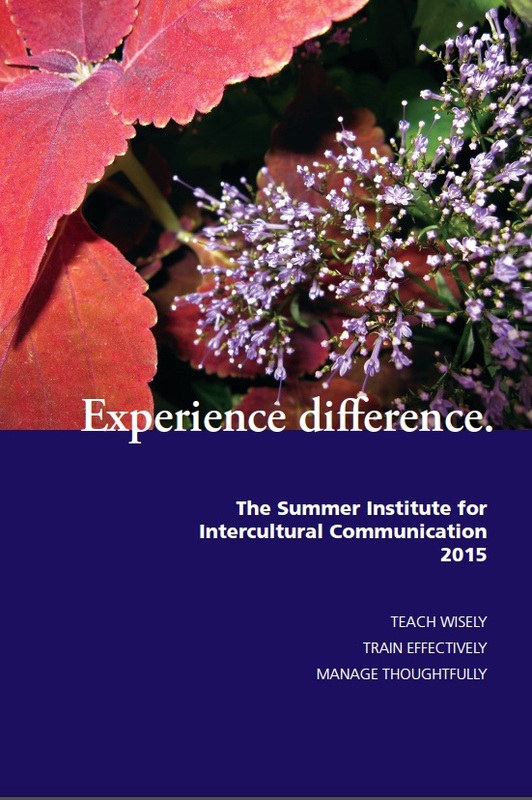 The 39th annual Summer Institute for Intercultural Communication (SIIC) offers professional development opportunities for people working in education, training, business, and consulting, in both international and domestic intercultural contexts. One of the premier gatherings of professionals in the field of intercultural communication, SIIC presents a unique opportunity to explore the field and network with others in a stimulating and supportive environment. 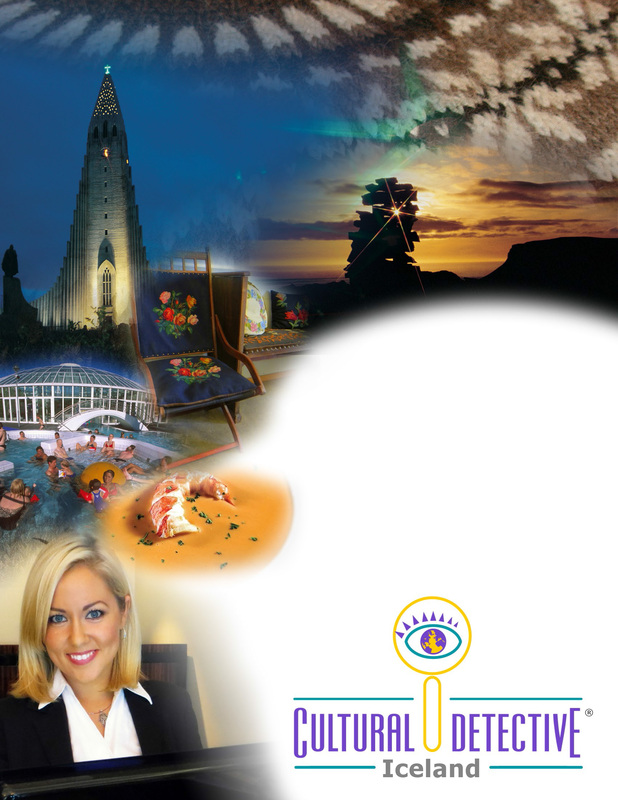 Cultural Detective is proud to have long played a role in SIIC, and 2015 will be no exception. Sign up now as workshops are filling quickly! The workshops below will all include Cultural Detective components; the Certification focuses exclusively on the Cultural Detective Method. Psychologist George Kelly has suggested that learning isn’t being in the vicinity of an event, it’s the sense we make of it. If this is so, then experiential learning through games and simulations requires special knowledge and skills to derive the most significant learning. This experiential workshop focuses on current best practices and theories for creating, facilitating, and debriefing meaningful intercultural games, activities, and simulations. We will emphasize the critical importance of debriefing, including the ethics of appropriate responses in challenging situations and a variety of successful strategies that you can use in diverse intercultural settings. Redundancía is one of the most powerful nine-minute learning games you will ever play. It builds empathy for non-fluent speakers, helps develop listening and communication skills, and captures the dynamics of power in conversation. It is a tool that can be used in a broad variety of educational and training situations. Cultural Detective® approaches cross-cultural collaboration as a process, not a set of dimensions. It looks at people as individuals affected by multiple layers of culture, including nationality, gender, generation, spiritual tradition, and sexual orientation. After we play and debrief Redundancía, the facilitator will provide a short tour of the Cultural Detective® Online system. One of the main challenges for trainers and educators is finding meaningful methods and tools to develop intercultural competence. Actively engaging with conceptually grounded and widely used approaches to intercultural communication competence, such as communication styles, conflict styles, learning styles, the Cultural Detective®, and Personal Leadership®, this workshop will equip you with creative methods for training and coaching for both culture-general and culture-specific contexts. We will focus on effective group dynamics, co-facilitation, adaptation, and strategic management of participants’ and clients’ needs, as well as the creation of your own activities. You can expect to be creatively, experientially, and reflectively engaged. During this highly experiential workshop we will participate in a number of different intercultural simulations and games, and then re-introduce, conduct, debrief, or modify them for varying purposes. The day will be fast-paced and high energy. There will be much work in small groups, and participants will take turns facilitating the large group. We will emphasize the critical importance of debriefing and the ethics of proper debriefing, as we illustrate that using different questions and methods can make a single activity produce learning that is applicable to a diversity of purposes. Come ready to engage! The Intercultural Communication Institute now publishes this classic simulation on intercultural collaboration, teaming and decision making. Be sure it’s part of your repertoire! Powerful and extremely adaptable, Ecotonos breaks the usual stereotypes and barriers. Participants improve their skills and strategies for multicultural collaboration and teamwork. Ecotonos can be used multiple times with the same people by selecting a new problem and different variables, with each replay offering new and different cross-cultural perspectives. Self-exploration is the most vital learning for anybody who wants to guide others in their identity work. You can expect to be engaged in two days of self-discovery processes, from icebreakers to individual and team exercises, which can be used to explore identity. We will examine different ways to set up and integrate identity exercises into programs that resonate with various work groups, and discuss both the ethical and practical considerations we need to keep in mind when doing identity work. We will address why identity work is essential in intercultural training, leadership development, and team building. I have the best job in the world: working with our Cultural Detective authors—I always learn so much! Recently, I had the pleasure of working with our authors on the Cultural Detective: Iceland package—the most recent addition to the CD series. This is a culture I know nothing about, therefore, I had no preconceived notions about how it would be to work with these bright ladies, or what I would learn. Fortunately (from my US American point of view), being direct and straightforward is generally considered being honest, and is highly valued in Icelandic culture. When discussing a topic, everybody tends to share ideas (without evaluation) and then the best course of action is chosen. Questions are answered directly, and disagreement usually is not considered a personal attack. To those from a less direct culture, this style of communication may feel rude and blunt, while to Icelanders it’s just contributing their ideas. This relatively small country (population 320,000) has seven universities, the oldest parliament in the world, and dynamic, high-energy, optimistic people. We look forward to introducing you to CD: Iceland, and a culture whose Viking roots impact the freedom and respect for the individual that are the heart of Icelandic values today. Be sure to check it out, put it to good use, and let us know what you think!